This activity was designed as a communicative way for students to practice high frequency words in present tense. It focuses on those commonly used verbs to talk about Valentine's Day. It has multiple versions to differentiate your classes. You can get it as a part of this bundle as well. If you are looking for a variety of activities to spice up the dreary winter, then this is for you. Similarly to my Muertos Para Empezar, this has 3 weeks of daily activities that could be used to start class or as brain breaks. They could also be used all together for a couple day mini unit around Valentine's Day. You can get it as a part of this bundle as well. 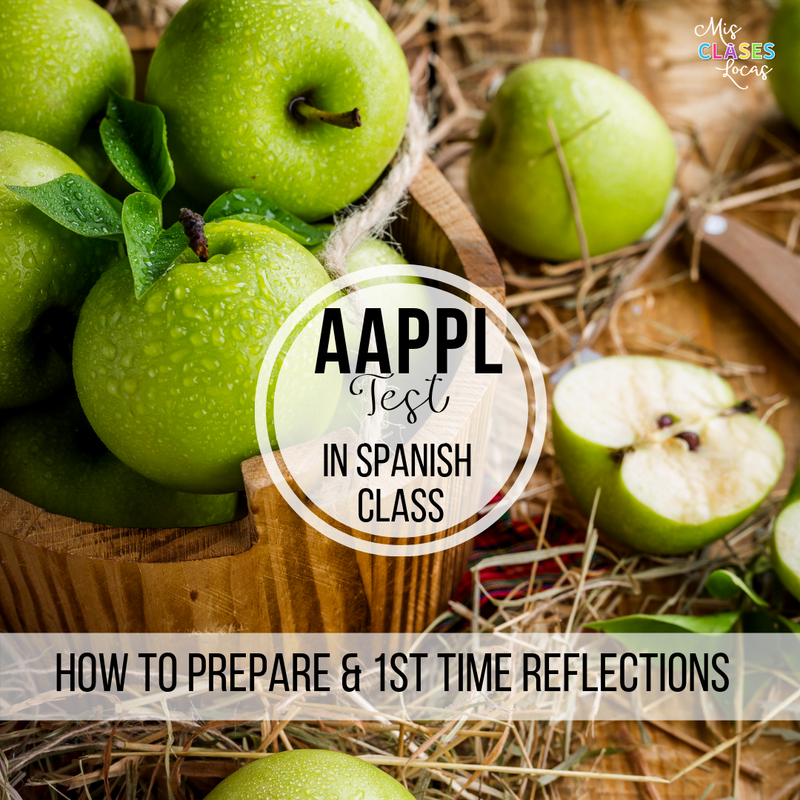 If you only have a short amount of time to talk about the holiday, this quick authentic interpretive task would be great for novice Spanish students. You can get it as a part of this bundle as well. El Mundo de Pepita always has such adorable stuff, such as these refranes y citas for Valentine's Day. 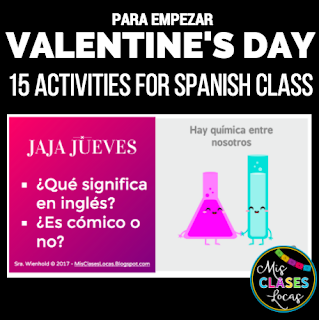 There are also printable cards in Spanish, which students would love to make. This flip book from Island Teacher would be perfect for Valentine's day if you are doing interactive notebooks. Or if you have younger students and want to practice numbers or colors this would be great for you. 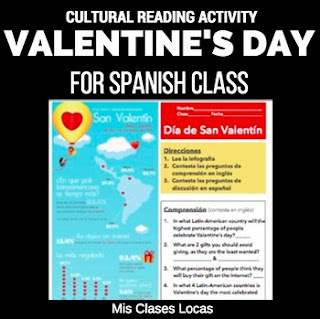 Valentine's Day Read and Draw - ¿Dónde está Cupido? 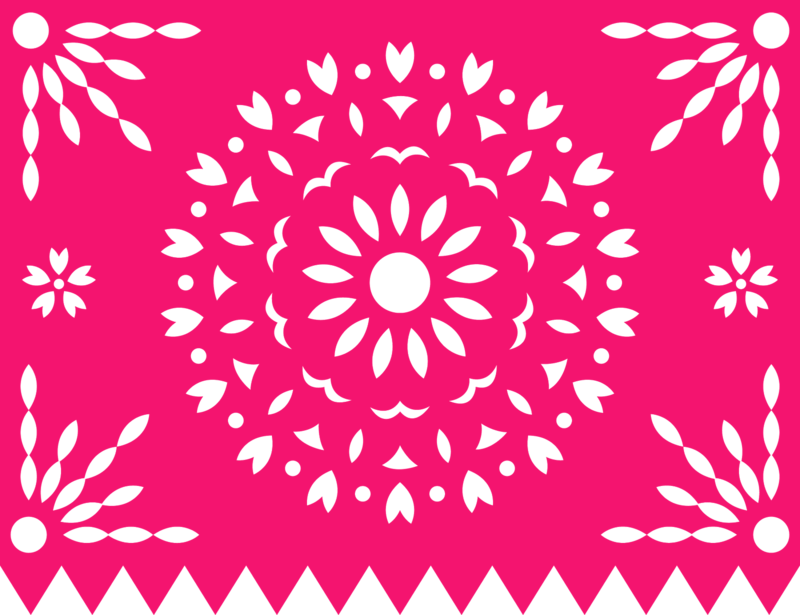 Let your novice students do a little craftivity, while still learning Spanish. 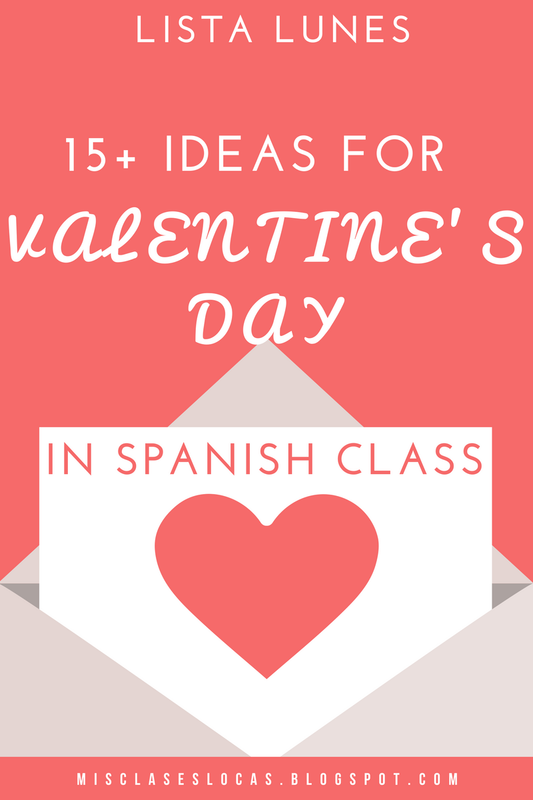 Or check out this post with more ideas from Carolina, including resources for the movie "El Día de San Valentín, Charlie Brown." 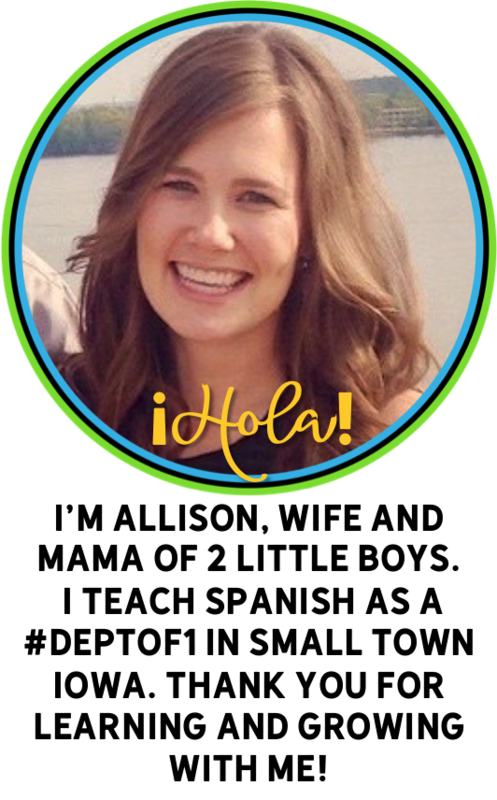 Woodward Education has you covered for activities for upper level Spanish class. 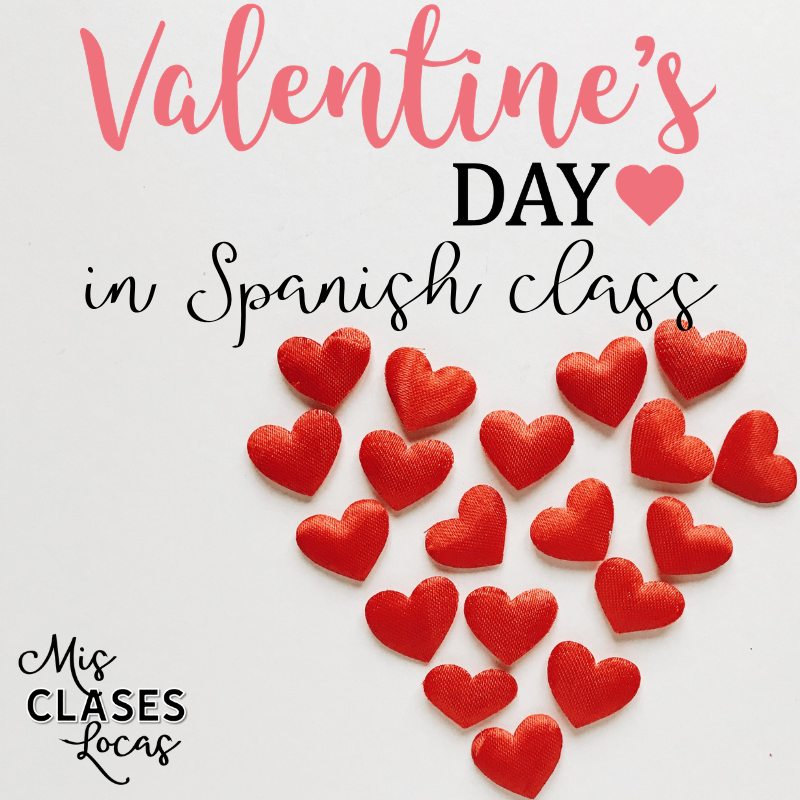 For upper level students, this authentic podcast activity in 100% Spanish is about Valentine's day in Spain. Speed dating is always a fun interpersonal activity to do around Valentine's Day. This one from Angie Torre could focus on specific verb forms if needed too (Imperfect, Present Perfect, & Tú Ud. Uds. Questions). Spanish Mama Elisabeth has two awesome images for terms of endearment, one for children and another for romantic couples. 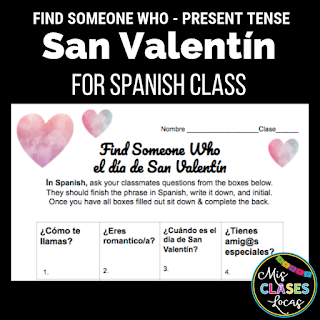 The romantic one would be great to post in your room during February or project for students to use when making cards in Spanish. This is the kind of slang middle and high schoolers eat up! Also, check out this very comprehensive post with a TON MORE activities for the holiday. 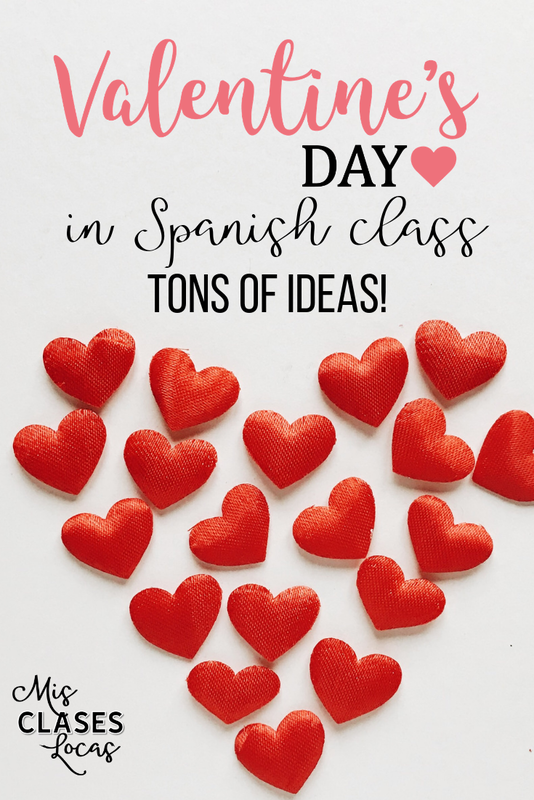 This growing bundle includes activities for all levels from elementary to high school including vocabulary, pick-up lines, games, crafts, decorations, memes, cheesy love songs, and speed dating. You can also just get the individual part you need. This Cootie Catcher would be a lot of fun with middle school students. Finally, if you need a bulletin board check this out to decorate your room. What are your plans for Valentine's day? Please share in the comments!